When students graduate from high school, they typically leave home and move away. That wasn't the case with Sandra Crawford – she chose to be a teacher so she could stay near home. "My mother was sick at the time with cancer and I knew I couldn't go off to school and leave her," Crawford said. "So, I looked at degrees here I could get, and MSU-Meridian was there and education was one of the programs. That's how it evolved and I've loved it ever since." 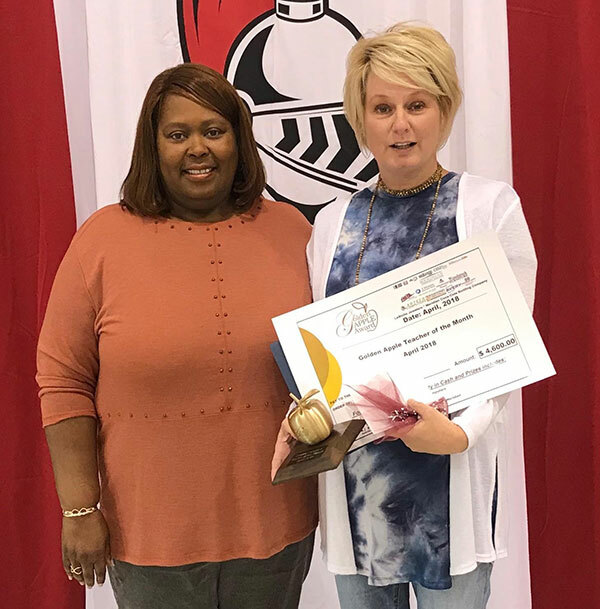 Crawford, who teaches third grade reading and language arts at West Lauderdale Elementary School, was surprised when it was announced last week that she was selected as the Golden Apple Teacher of the Month. "I felt overwhelmed, just in shock, but humbled, pleased, and happy," Crawford said. "It was one of those moments you know what you have done has paid off. It has made me want to strive to be even better. Not only that but the prizes you get — awesome!" 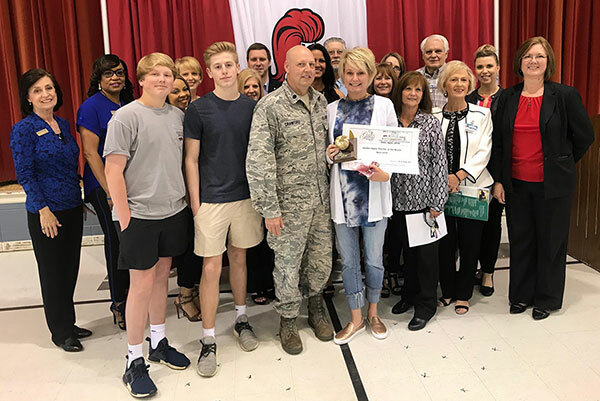 Crawford has taught for nearly 24 years, working for the Meridian Public School District for 11 years before moving to West Lauderdale. She's also taught at MSU-Meridian as an adjunct professor, something she says she would like to do again one day. 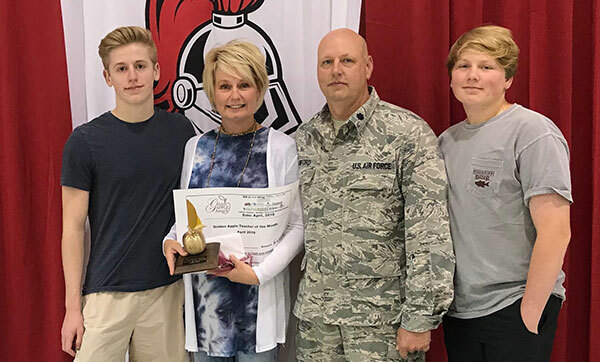 Rosemary Harris, the principal at West Lauderdale Elementary, describes Crawford as a team player, leader, motivator and hard worker. Most of all, she has compassion for everyone. "When I think about Mrs. Crawford and all that she brings to the table, I can't help but smile, because she has so many rewarding traits," Harris said. "When a child tells their parents they don't just like Mrs. Crawford, they love her, you know you have a great teacher. She expects and gets the best out of her students." Community building and parental involvement are two things Crawford feels strongly about. The Crawford family: Riley, Sandra, Brad and Bradley. "I let my class know we are all equal, we are on the same field," she said. "I want them to be able to turn to their partner, and vice versa, and help them with open arms. Parents come into my classroom a lot for celebrations, to read, or just eat lunch with them. 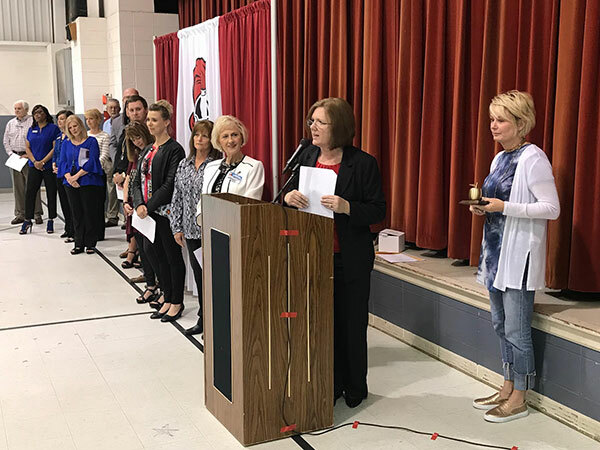 It means a lot when you have the community, administration, fellow teachers, and parents all involved." In addition to teaching, Crawford is also the Arts Smart Coordinator at the school and will be traveling to Washington this summer to The Kennedy Center for the Performing Arts as part of the Any Given Child Program. "I believe arts integration is a way that helps in all subjects," Crawford said. "We go to the Riley Center for workshops, and then bring what we have learned back to the classroom." 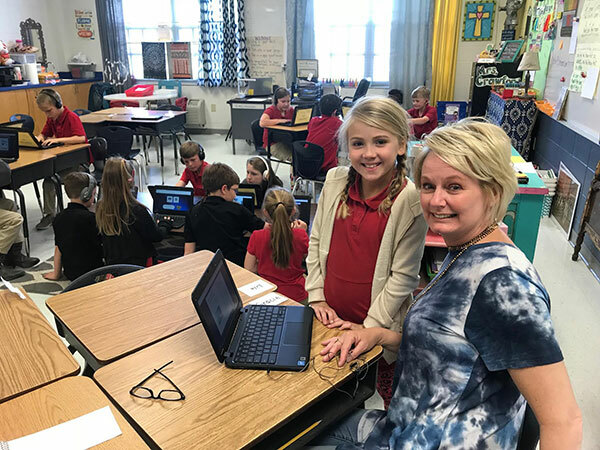 Crawford has a unique way of preparing her third graders for state tests, which has led to 100 percent passing for her class. "I like to bring in old, rich literature - "Charlotte's Web," "Sarah, Plain and Tall," — it builds vocabulary, and higher thinking questions," Crawford explained. "A big thing in my room - you got to back it up. The test is out there, but if we do what we need to do in the classroom they can pass it." 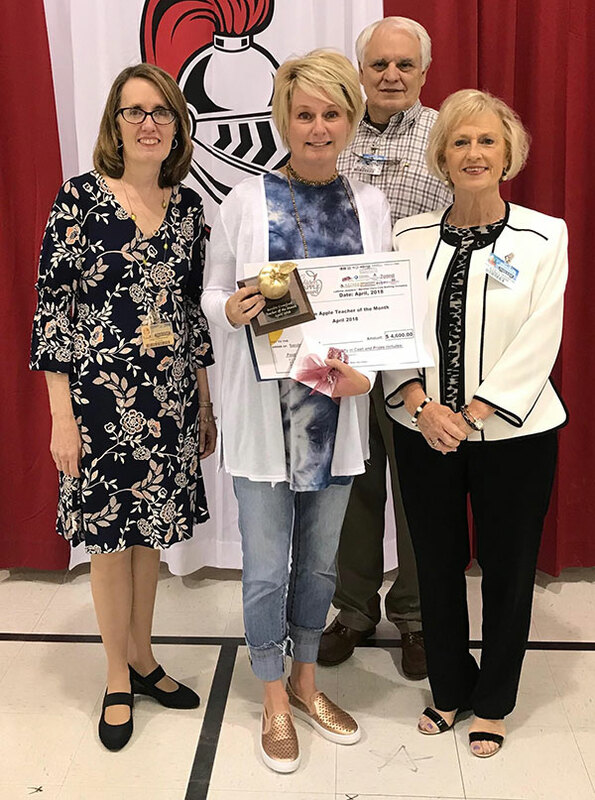 Reflecting on a long career, Crawford says she has had many mentors through the years: Kim Benton, Harris, Tory Shirley, and her fifth grade teacher at Poplar Springs Elementary, Tricia Harper, who took her under her wing when she struggled with science and reading. With that in mind, Crawford hopes her students will remember her as a teacher who truly cared. "They will probably say Mrs. Crawford is funny because I try to make it light and easy," she said. "But, each morning I greet them and give them a hug to let them know they are worthy.